They call him "The Club Whisperer". If there's an antique golf club in the vicinity, Will Roberto will find it. 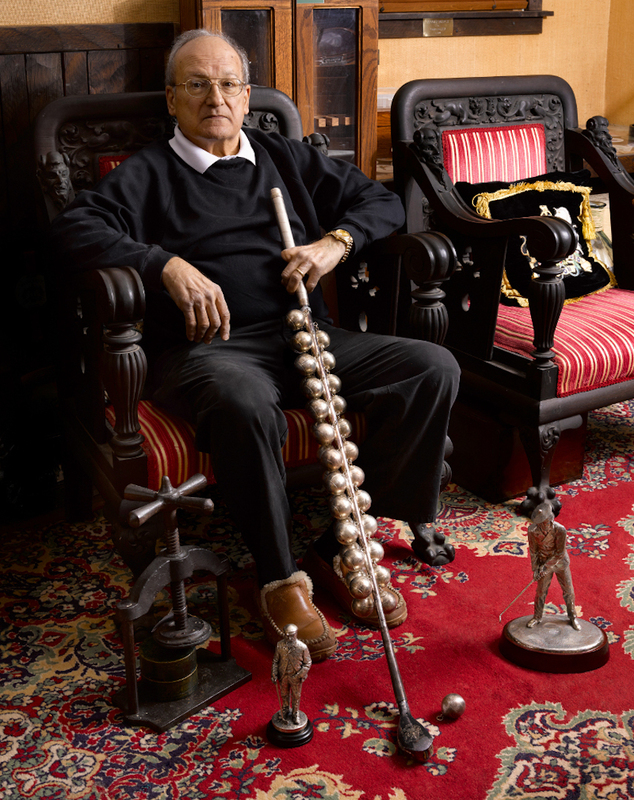 The US lawyer has been collecting the game's oldest and rarest clubs since the 1960s, so if it’s a brassies, a Baffy, a mashies or a Niblicks you are after then Will Roberto is your man. $40,000 for the long nose putter Willie Dunn Senior used when losing to Willie Park Senior at Prestwick in 1859. The 130–piece collection is expected to break the $1 million mark. Ahead of the big day, Roberto spoke with JustCollecting to take us inside his obsession. Will Roberto: According to my family, I am an eccentric old coot. My wife claims that “Grumpy”, one of the seven dwarfs, has escaped and is living with her. He is easily managed by locking him in his golf memorabilia room or other rooms of collectibles that have overrun the house. I have practised law for 46 years. I am an honorary member of Connecticut Section PGA, having once served as its legal counsel. I began my collecting in the mid-1960s at the lowest financial end of the hobby. As my career took off and my income increased my horizons expanded. I have authored sections in books on golf collectibles. At one time I was co-owner of Old Tom Morris Golf, a golf memorabilia company, which ran three auctions in the US. I used to be a good player but those days are behind me. I have played on many of the US and world top 100 courses. I enjoy links golf the most. 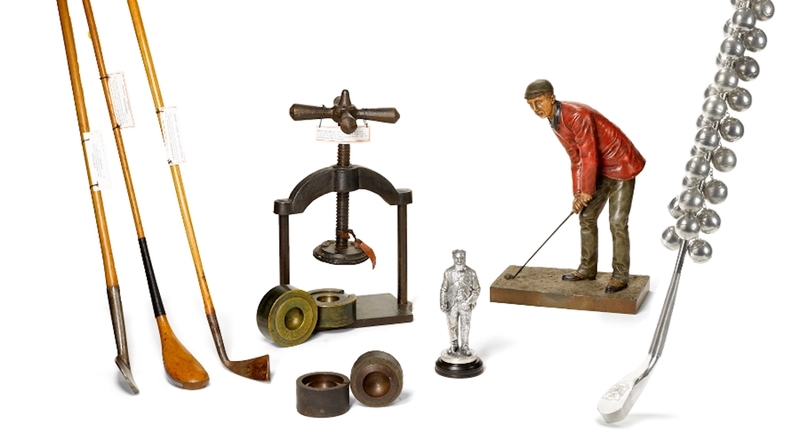 How do you track down antique golf clubs and memorabilia? I go to the source: Scotland and England. I have walked the streets of St. Andrews and knocked on a lot of doors and bought a lot of wonderful items. On one occasion my wife and I travelled to Scotland with my late fellow collector Joe Tiscornia and his fiancée. As a side trip, the four of us went to a famous antiquarian book shop in the Welsh village of Llandudno. (We both put together extensive golf libraries dating back to the Scottish Acts of Parliament in 1457 in which James the First, son of Mary Queen of Scots, banned golf and soccer). The cobwebs and dust were older than we were. The stacks were 10 feet high. I climbed one of those sliding bookshelf ladders to the top. I saw an old, complete set of Encyclopedia Britannica. I took down the volume beginning with “G”. Instead of being printed in Edinburgh, it had been printed in Dublin two years before the earliest known Britannica referring to golf. That was a real find. I had to pay for the whole set in excess of 10 volumes. I left with only volume G, which was all I was interested in. I was filthy with dust and Joe could not stop laughing but I had the treasure. Another time, Joe knew a “picker” in the Netherlands who was a college professor. A house built in the 1500s was razed. Beneath was a nearly 500-year-old garbage dump. The picker sent Joe a wooden ball and a wooden club head similar to pictures of many Dutch children holding a golf club in their hand. Our research indicated they were the oldest wooden club head and ball extant. What is it about antique clubs that appeals to you? The search for history. The older the better. My family refers to me as "The Club Whisperer”. It truly is the hunt and the search for items and my overall interest in history that appeals. 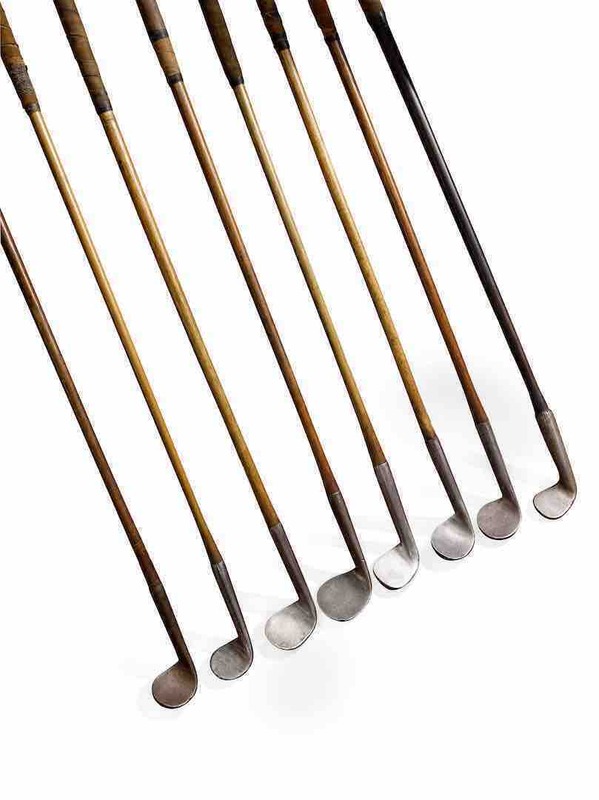 Which factors most affect the value of antique clubs? Rarity, condition, and provenance from a famous player or person in history. Condition is sometimes sacrificed if there are very few clubs known by the maker or the famous party. An example would be five known, three of five in institutional collections never to circulate, the fourth not likely to hit the market any time soon. Sometimes all you are left with is the one the dog chewed on. People that expect to find the perfect club will never own such a club of limited availability. Blacksmiths made the early irons. Are there any particular blacksmiths whose clubs are valuable? The "original 8" to stamp their names on clubs. However, the ones made with no name by blacksmiths or armourers [towards the end of the 18th century] are 50-80 years older, rarer and more valuable. Is there a particular type of club more collectible than another? Pre-1800 long nose woods and irons. There are arguably 200 combined that have survived. Irons outnumber woods two or three to one as woods were often damaged when striking hard turf or rocks. 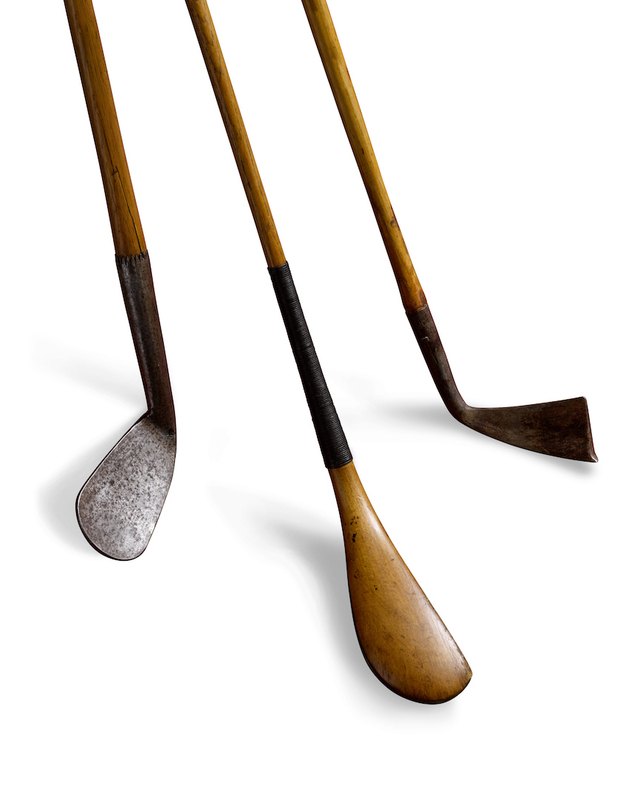 There are three pre–1800 wood spoons that I know of, making them perhaps the rarest clubs. Spur toe irons are exceptionally rare as well. Which club are you most reluctant to let go of at the upcoming auction? All of them. We have held on to a few. Of the clubs in the sale the pre–1800 clubs are my favorites. Ever used your antique clubs out on the course? Or are they just too valuable? I never have hit a wood–shafted club. The old shaft probably would break and wood heads would probably explode in a cloud of dust as the wood has dried out. And even late 19th century clubs are too valuable. 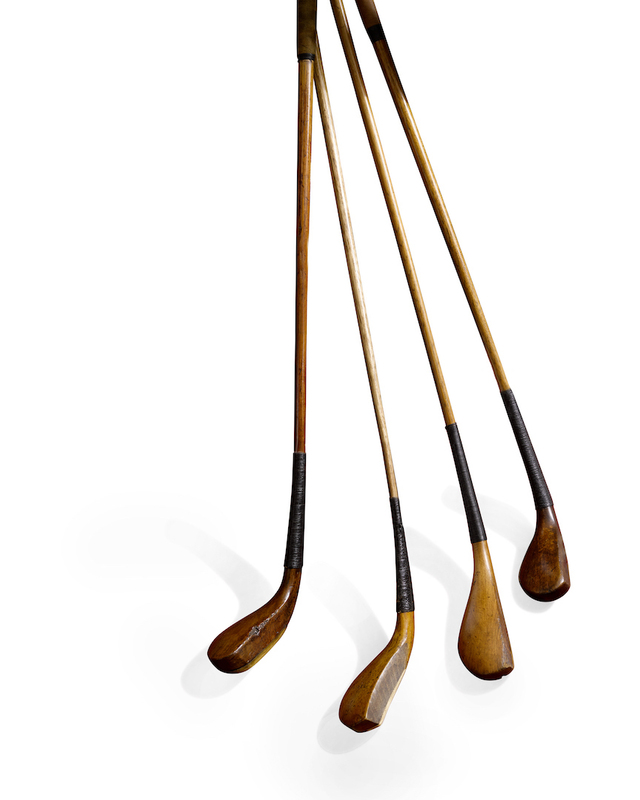 The "hickory hackers" that play with wood–shafted clubs use clubs from the 1920-30s. How do antique clubs play compared with modern clubs? They are more beautiful. If you played with them all the time in the hands of a good player, they're probably just as accurate. 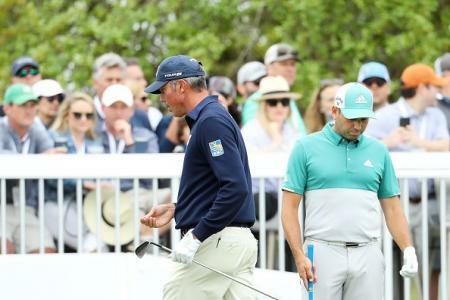 Top professionals could hit a play club (driver) 150–190 yards although there are some written references of much greater distance up to 300 hundred yards – probably down hill and down wind. Have today's clubs taken the skill out of the game? In most respects, yes. The courses were shorter than today and very few people could break 80 pre–1900, and not many (except the best of the best) until the steel shaft became dominant. 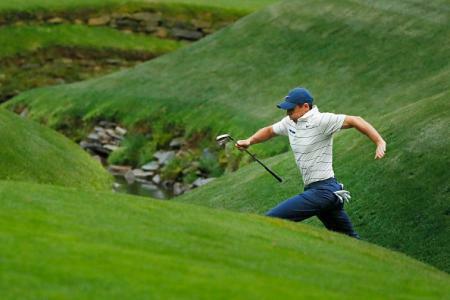 Who is the pro golfer best suited to playing with antique clubs? 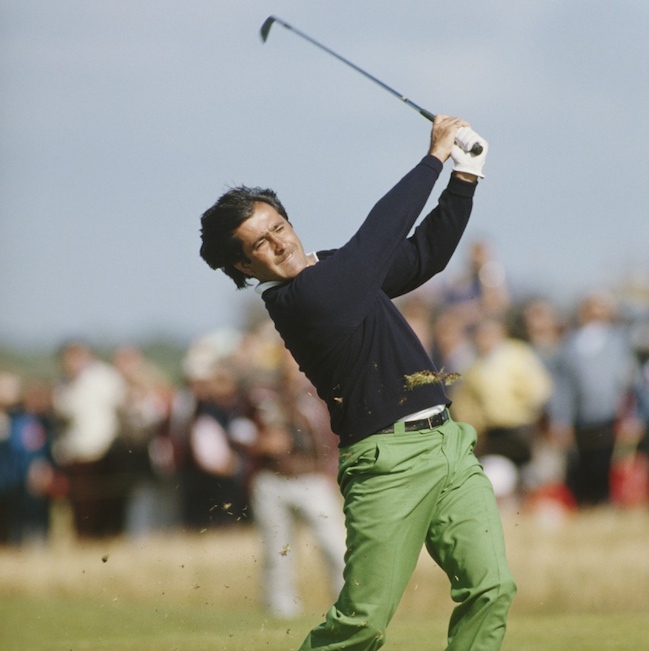 Seve Ballesteros. Of the living players Ben Crenshaw and perhaps Lee Trevino. Any more good stories from your years on the hunt? While Joe and I were in St. Andrews one time we went to the famous pub frequented by the professional caddies. A fellow came up to the table where Joe and I were sitting with some locals and Mark Roe, the British touring professional - and a friend of Joe’s and mine. 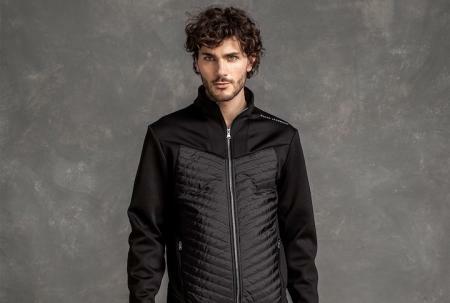 The man had a small leather pouch and asked Joe if he was the Yank who was looking to buy golf balls. As the gentleman proceeded to empty the bag's contents on the table, the first four or five balls were circa 1998. 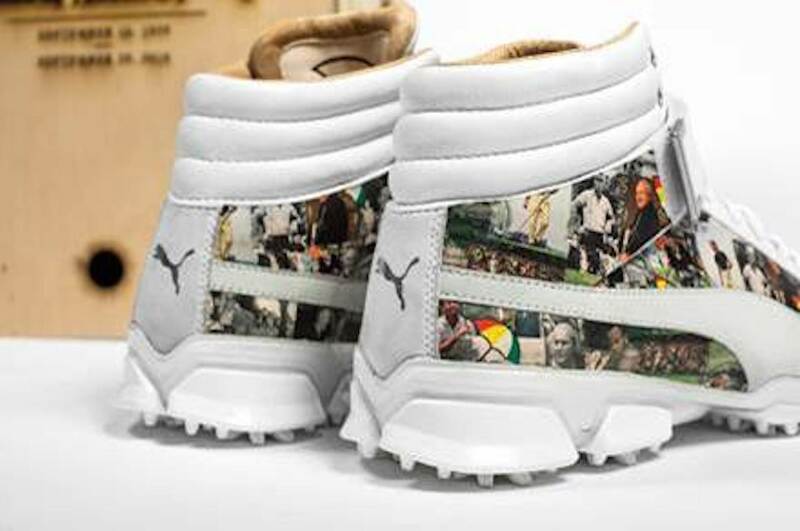 It included a smooth gutty with a large “L” mark on it from the famed Low family of golfers. There was a very rare Tom Morris hand–hammered gutty and two or three other pre-1890 rarities. Silence ensued at the table. The gent asked for a couple hundred pounds. I never saw Joe's hands move as fast as he completed the purchase and bought several thousand pounds of golf balls for a pittance. You have a large golf memorabilia collection. What are your best pieces? A circa 1895 bronze sculpture of John Laidlay [who used the Vardon grip even before Harry Vardon]. A circa 1812 oil painting depicting golfers in Revolutionary War–era clothing with their elegantly dressed ladies as spectators, and a statue of Freddie Tait, the amateur champion killed in the Boer war. Any advice for the novice antique club collector? Collect what you like and can afford. If you want to collect at the upper end of the hobby, whether it be art, books, medals or clubs and balls, read all the key books on collecting. Get in touch with the Golf Collectors Society who can refer you to experts in the hobby and who can assist you in purchases. Beware of dealers in general, although there are some very good and ethical ones. Remember they are in it for a profit. Joe and I travelled to Great Britain many times in search of treasures. The cost of the trip together with our purchases still resulted in large savings instead of exclusively buying from dealers. To me it is always best to have someone on site to inspect items and provide condition reports. Do not be lazy - and do a lot of research. More info is in old books and newspapers, university libraries in Great Britain, the USGA Library and in the minds of advanced collectors. Most collectors are willing to share information, assuming they are not interested in a piece that you might have interest in. I do not regard anything I know as a nuclear defence secret not to be shared. Many collectors do. I get calls from all over the world and try to help new and experienced collectors, auction houses and museums. I always ascribed to the belief that if I educated a competitor on an item and he had deeper pockets than I then I was not meant to have it. One of the top collectors in the world when I started said there is so much memorabilia out there we cannot have it all. The Roberto Family Trust Golf Collection auctions at Bonhams Los Angeles on March 29, 2017. Click here for more details, to view the catalogue and to bid.